Pandit Birju Maharaj is a legendary Kathak dancer. He belongs an illustrious family of dance masters of the Lucknow gharana. His two uncles Shambu and Lacchu Maharaj, and his father Acchan Maharaj were all well-known Kathak dancers. Apart from Kathak, Pandit Birju Maharaj is also an accomplished vocalist. Pandit Birju Maharaj alias Brij Mohan Nath Mishra was born on February 4, 1937. He took training in Kathak under the guidance of his father, Achchan Maharaj and uncles Lacchu Maharaj and Shambhu Maharaj. Birju Maharaj gave his first performance at the young age of seven at Lucknow and after that there was no looking back. Birju Maharaj is a multi-faceted personality. Besides his mastery over Kathak, he is also a superb musician, percussionist, composer, teacher, director, choreographer and a poet. Birju Maharaj has composed many dance dramas like 'Gobardhan Leela', 'Makhan Chori', 'Malti-Madhav', 'Kumar Sambhav', and 'Phag Bahar'. Birju Maharaj has also dabbled in films. He composed two classical dance sequence for Satyajit Ray's film 'Shatranj Ke Khiladi' and choreographed a song for Sanjay Leela Bhansal's film 'Devdas'. Birju Maharaj is a recipient of several honors and awards. These include: Sangeet Natak Academy Award, Padma Vibhushan, Kalidas Samman, Soviet Land Nehru Award, SNA Award, Sangam Kala Award etc. He was also conferred with two honorary doctorate degrees and the Nehru Fellowship. 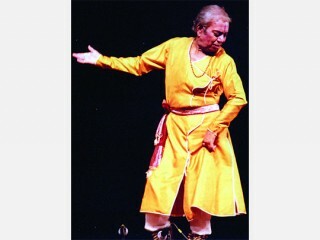 Birju Maharaj taught at Sangeet Bharati, Bharatiya Kala Kendra and headed the teaching faculty Kathak Kendra in Delhi till his retirement in 1998.